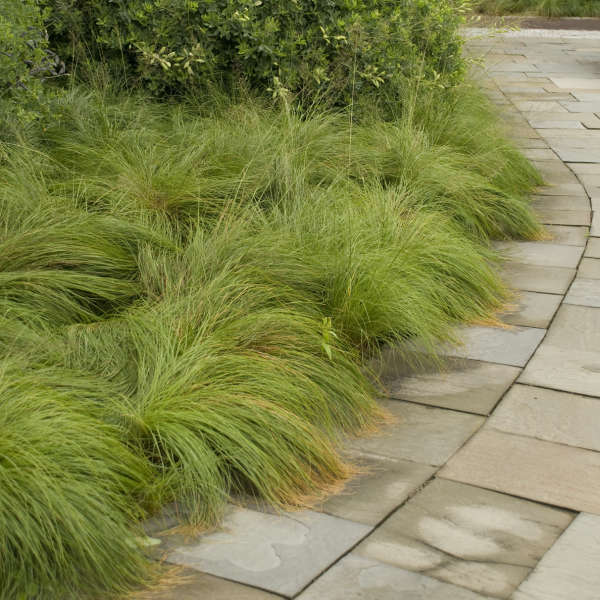 Sporobolus heterolepis | Walters Gardens, Inc. 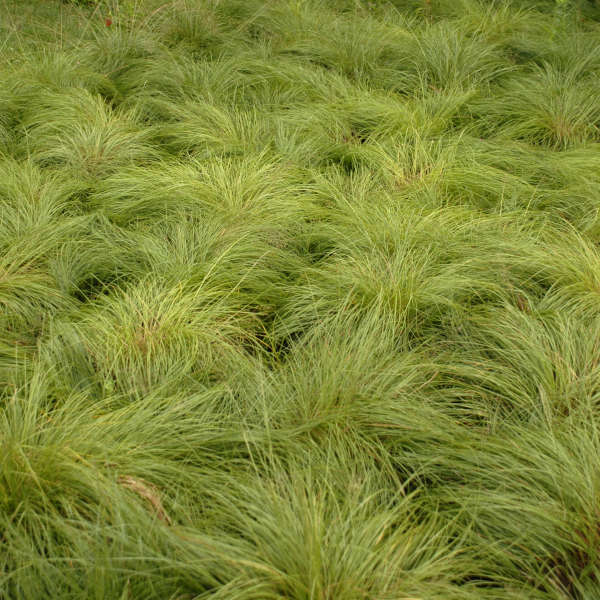 Considered by many to be one of the most refined of all native prairie grasses, Prairie Dropseed has a soft, fountain-like look about it. 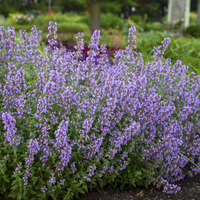 The green leaves are very narrow, almost threadlike, and grow to form an 18 inch tall clump. It often turns rich shades of gold or deep orange in the fall and then light copper to creamy tan in winter. 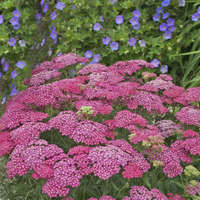 In late summer, soft pinkish brown flowers are produced atop thin, arching stems held high above the foliage. These panicles are filled with distinctly sweet smelling seeds which smell like ground coriander. Though it produces an abundance of seeds, it is not known to seed invasively in the landscape. This grass is very heat and drought tolerant because it is deep rooted. 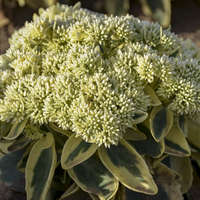 It is often planted en masse as a groundcover or as a specimen. Prairie Dropseed is native to North American prairies and occurs naturally from Canada to Texas. Much of it has been destroyed by overgrazing and farming, so now it is only found in undisturbed prairies. Native Americans once used its seeds to make flour. This plant gets its name from the way the tiny mature seeds drop to the ground in the fall. 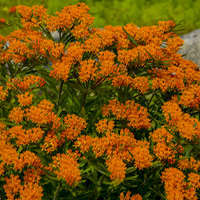 Birds and other wildlife depend on this plant as a nutritious food source. This plant tolerates a wide range of conditions including clay soil, but grows best in well-drained, dry, rocky soil and full sun. 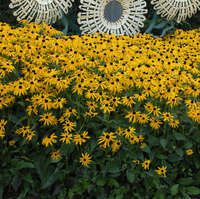 It can tolerate light shade, but in too much shade it will flop. 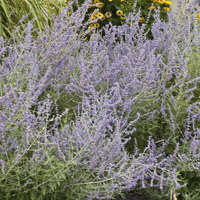 This plant is extremely heat and drought tolerant once established. However, some summer watering may be required in arid western climates. 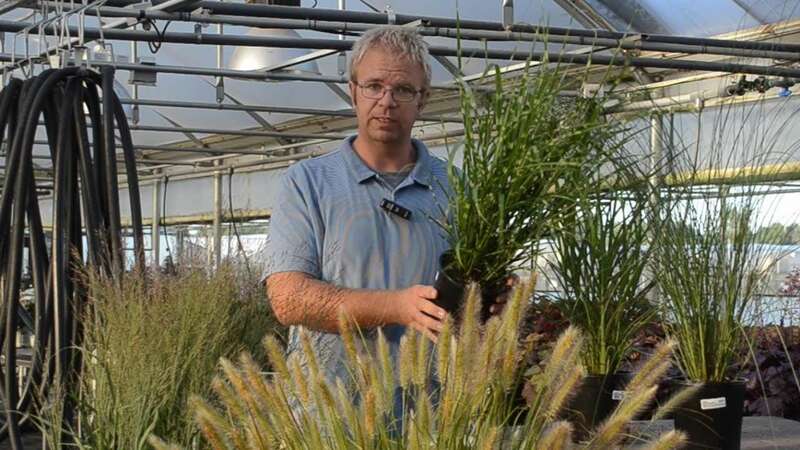 Prairie Dropseed is a slow growing grass that takes about three years to mature. However, it is well worth the wait since mature clumps are spectacular. Mature clumps can live for decades without the need for division. No serious pests or diseases are known to effect this plant. 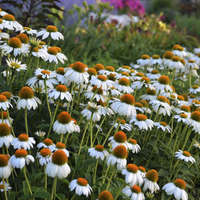 Propagate it by seed in fall or by division in spring. Summer planting is best to bulk properly. Feed lightly 50-75 ppm N at each watering. Do not overfeed. Avoid overwatering as it may cause root and crown rot. Small plugs should be potted in summer to bulk for sales the following season. Large plugs can be planted in spring. High light levels are required. Grow outdoors in summer for direct sun.